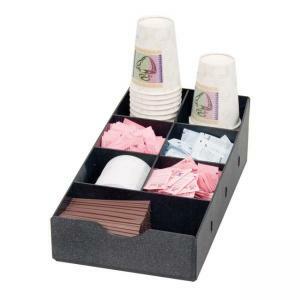 Condiment Caddy offers several storage possibilities for cups and containers for all condiments. Single-level design includes seven compartments. Commercial grade construction will not crack, fade or chip. Condiment Caddy includes removable dividers for easy customization.